33.0" x 79.0"47.0" x 79.0"
Stand out from the rest and spark more interest at events and trade shows with professional retractable banners! 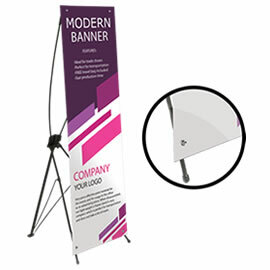 Also known as roll-up banners and banner stands, these effective marketing and promotional essential projects your brand and business loud and clear. 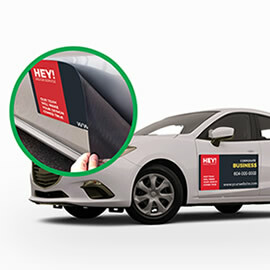 It is not enough to be visible, you need well-designed and quality-printed retractable banners to invite inquiries and spark conversations about your products and/or services, become a part of a sustainable network of connections, and generate promising leads to expand opportunities for your brand. Even when you are not at trade shows, you can still use roll-up banners in your store to easily showcase your marketing, as well as inform clients and customers of what you do and what they can expect from you. 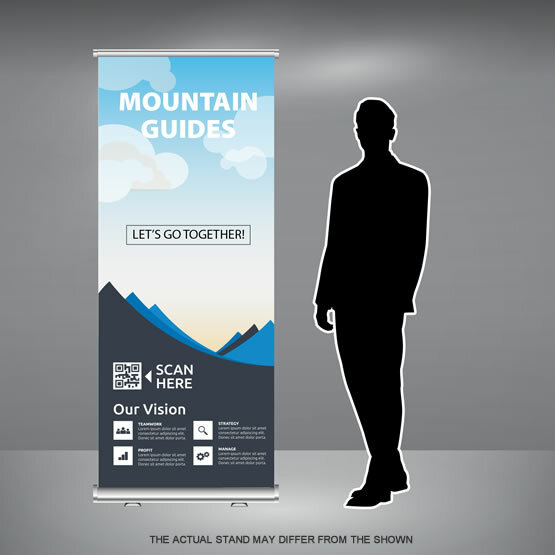 You will undoubtedly make a statement at any trade show or exhibit event. It is ideal for presentations or temporary store promotions with your own easy- to-do design accessible at the convenience of your own home. The colours are vivid printed think vinyl material with a matte finish making it easy to clean with just some soap and water should any unfortunate accidents occur. Consisting of the aluminum base, support pole, top clamp and a carrying bag, the set up is effortless taking less than 1 minute. 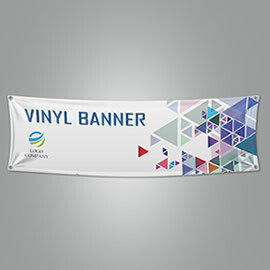 As the name suggests the banner retracts into aluminum casing where it is safely stored for future use making it perfect for yearly promotion since you can store it away for long periods at a time without having to worry that the graphics will be ruined. Do not settle for poor retractable banner printing service that will reflect badly on your company. Choose efficient and effective print solutions for your roll-up banner printing needs. Customized banners your way – No print ready file, no worries! 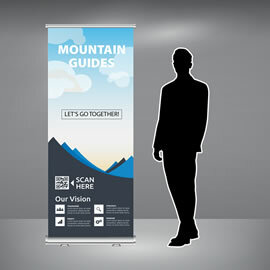 online design tool you can use to create customized retractable banners just the way you like it. Our retractable banners are printed on Inside Vinyl Banner material that is made for indoor use. Easy set-up - Secure frame structure gives you hassle-free set-up anytime, anywhere. The frame’s sturdy and lightweight construction also gives you durability and easy portability. Outstanding print quality - Bold colours, clear messaging. Market, advertise and promote with top-notch printing material to add value to your brand. Are you in need of a reliable banner printing service? We can help you with that. Leave us a message to inquire, or place your print order today! For quantities over 5, please do not hesitate to request an estimate, and one of our team members will be happy to get back to you with a competitive quote. as low as $30.3 ea.